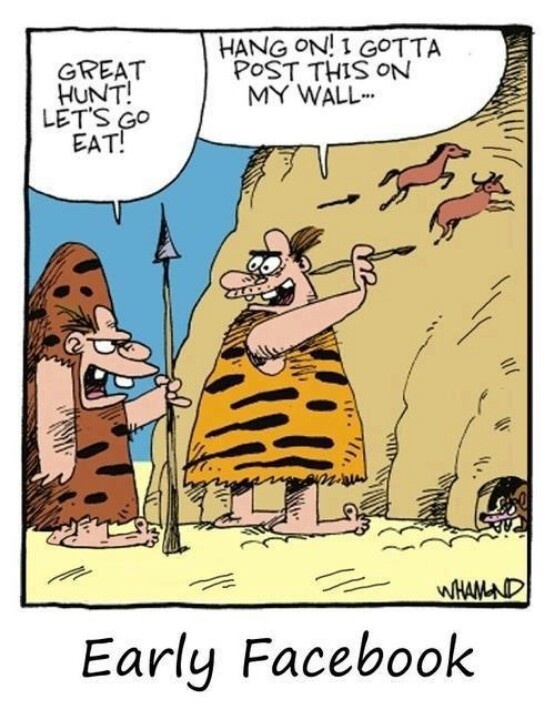 Funny Early Facebook Cartoon Picture - Great hunt. Let's go eat! Hang on!1 I gotta post this on my wall.